That will teach me to rely on my faulty memory. 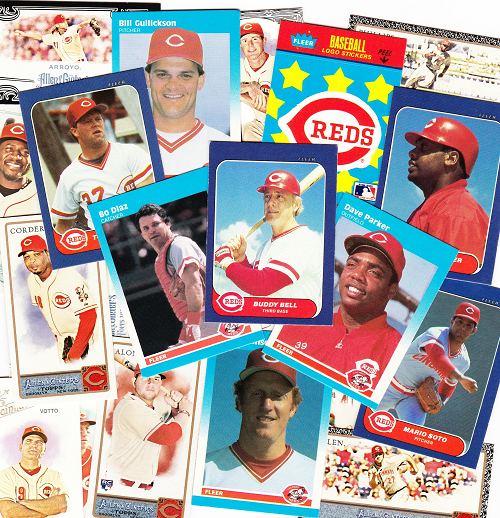 I posted this earlier, attributing the awesome assortmant of Reds cards to @vossbrink, who is a pretty awesome person. He quickly pointed out that the cards did not come from him, so I checked my messages again. The cards actually came from another awesome person, @ShaneKatz73! Sorry about the confusion. What follows is the original post, slightly edited. 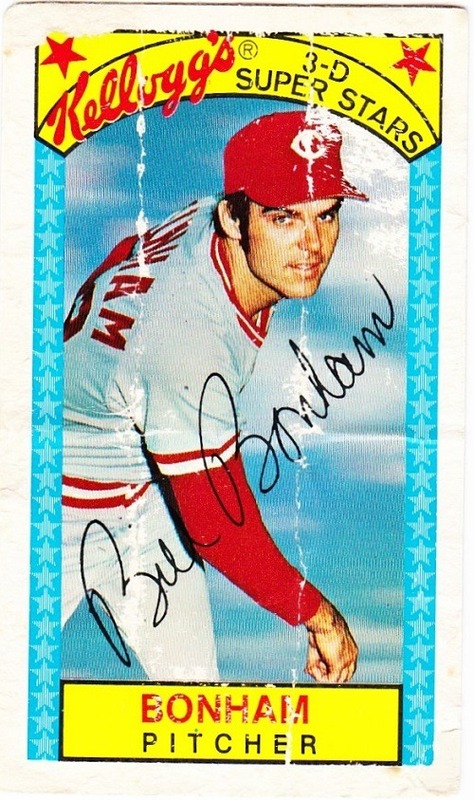 A beat-up 1979 Kellogg’s Bill Bonham, without its lenitcularness. 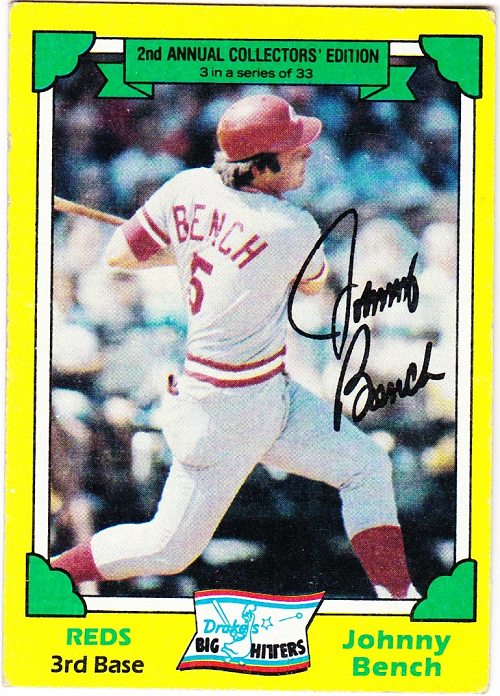 A 1982 Drake’s Big Hitters Johnny Bench. I have had the 1981 Drake’s set since I was a little kid, and was aware of other Drake’s sets, but don’t think I’ve ever seen one until recently. Shane sent over several different Drake’s samples for me. 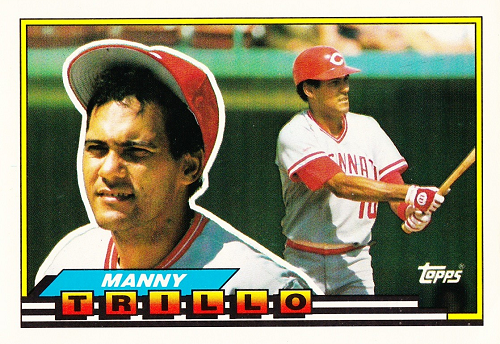 A 1989 Topps BIG Manny Trillo…Manny Trillo played for the Reds? 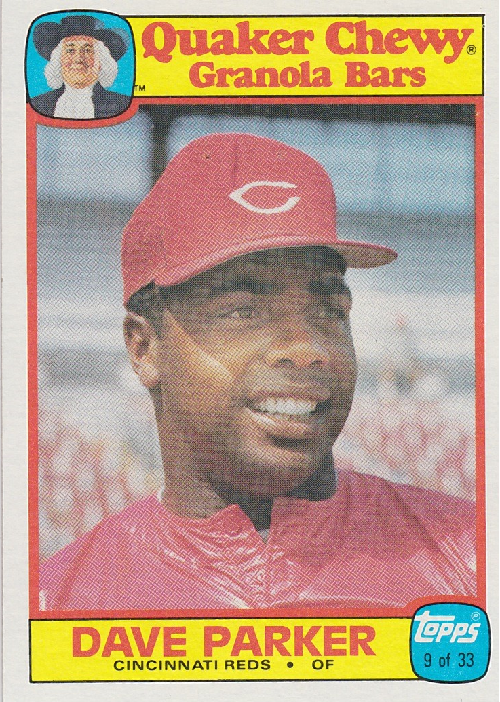 Sure enough, Trillo finished his big league career with 17 games in Cincinnati in 1989. 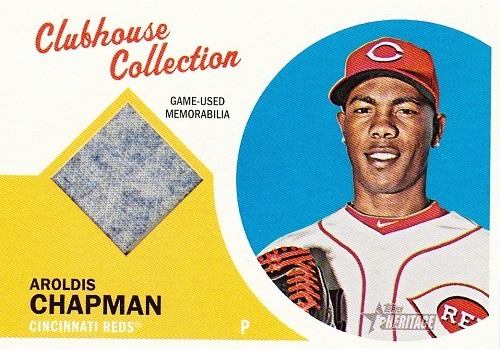 A 2012 Topps Heritage Clubhouse Collection Aroldis Chapman game-used jersey card. I’m not a relic or autograph chaser, to the point that I don’t even put them on my checklists. But I’m always happy to see them show up in blind trade packages. 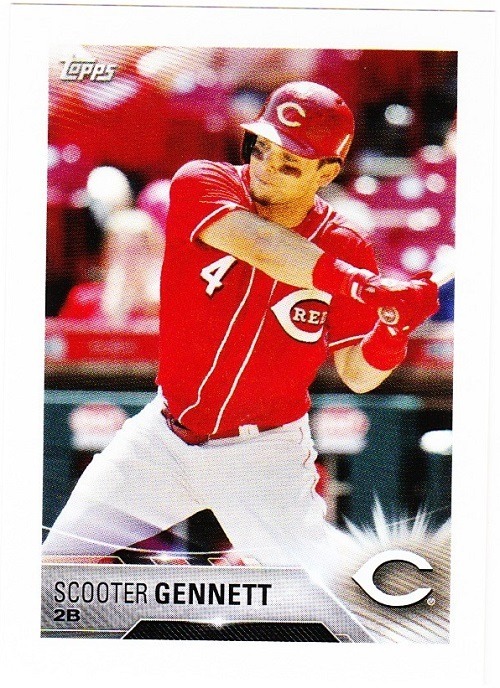 A 2018 Topps sticker Scooter Gennett. 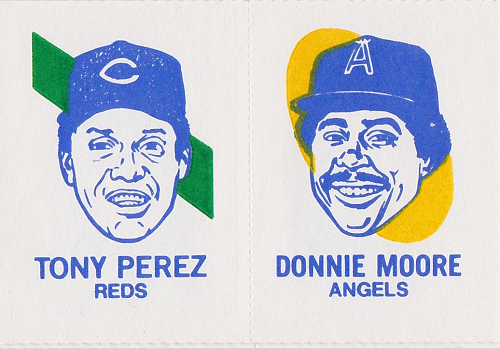 I love Topps stickers, and for the past three or four years I have liked the sticker designs better than the base card designs. 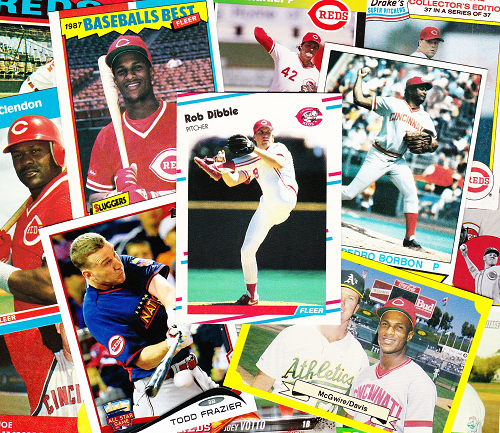 …and some Topps Heritage Minors and Topps Pro Debut, including three Billy Hamilton cards! Overall, this was just a fantastic package and really fun to go through. A 1987? 1988? 1989? 1990 even? 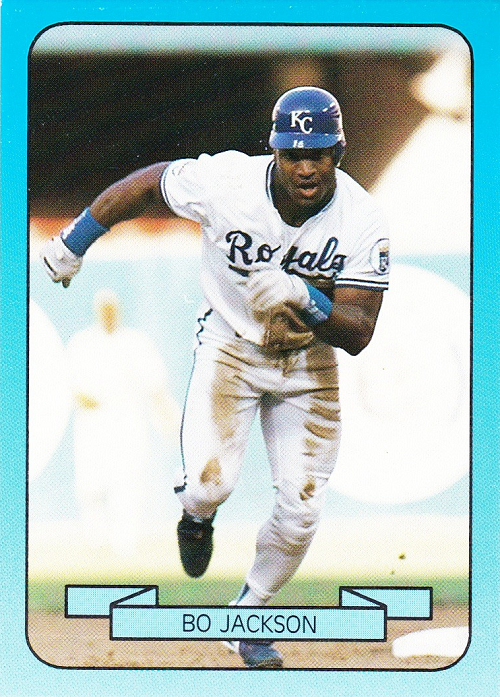 Bo Jackson unlicensed Broder-type card. I love these things, but they are so difficult to nail down exactly what they are or where they came from. 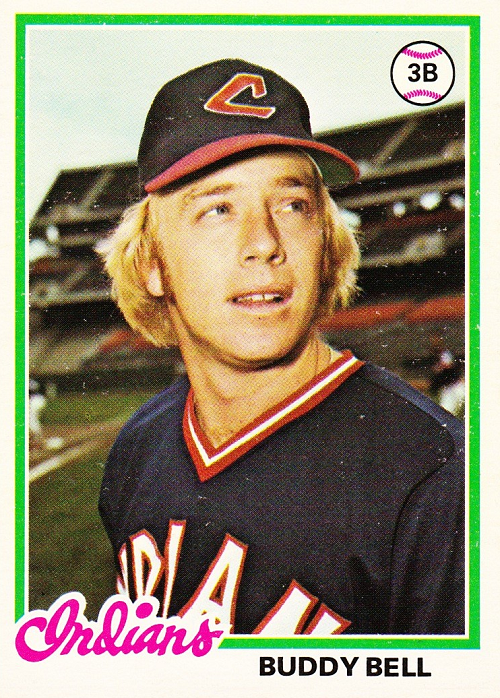 A 1978 O-Pee-Chee Buddy Bell. 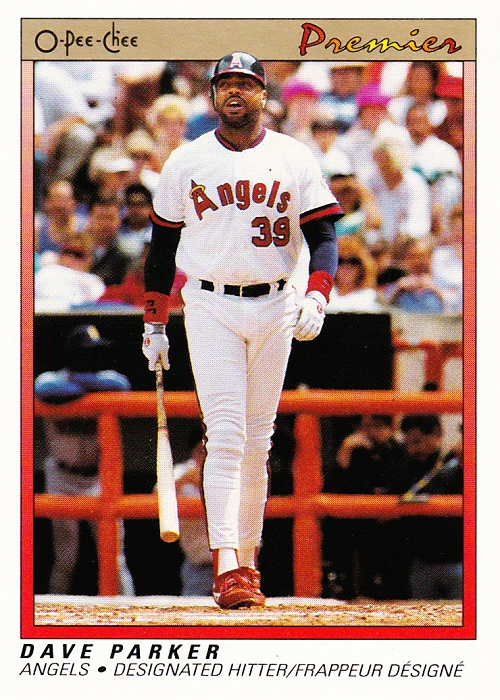 I don’t think I even have the Topps version of this card yet, that’s how far behind I am on organizing these. 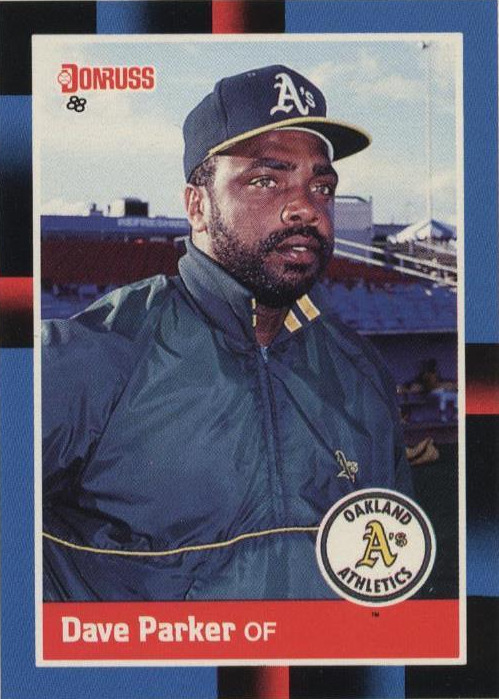 A 1991 O-Pee-Chee Premier Dave Parker! A rare celestial Cobra from late in his storied career. 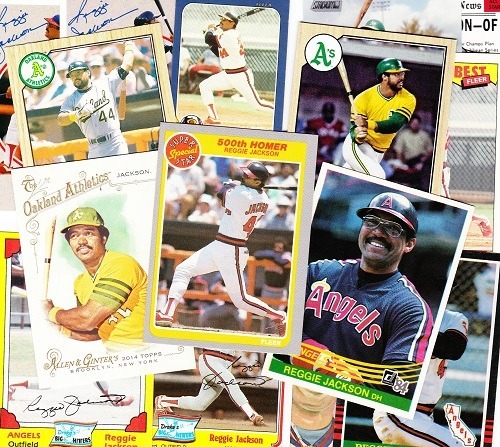 …and a big stack of Reggie Jackson cards! I really have to get some wantlists started for these non-Reds collections. Thank you for the cards Shane, and sorry again for my earlier confusion! If anyone wants to dispose of any Red Sox cards, contact @ShaneKatz73 on Twitter! 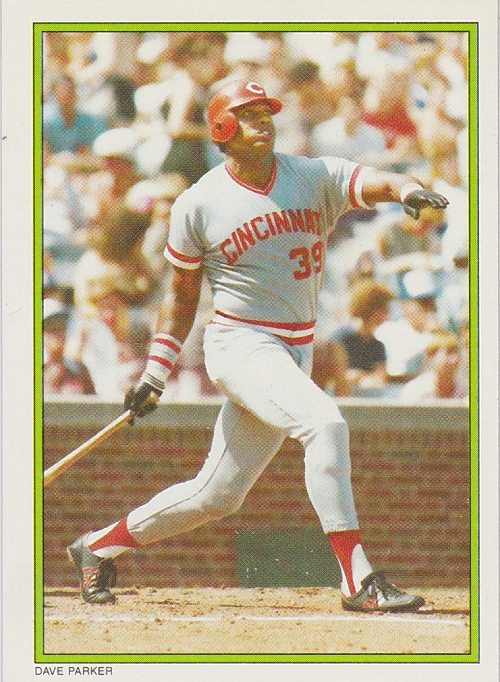 Happy Reds birthday, Dave Parker! Some of the coolest nicknames in baseball are animal-related. Ron Cey (“Penguin”), Andre Dawson (“Hawk”), Rich Gossage (“Goose”), Mark Fidrych (“The Bird”), and of course, Dave Parker (“Cobra”). Parker was a force at the plate, launching 339 home runs and driving in 1493 during his 19-year career for Pittsburgh, Cincinnati, Oakland, Milwaukee, California, and Toronto. He was the 1978 NL MVP and finished in the top ten for MVP five other times. Seven times Parker was an All-Star, and he was the very first Home Run Derby champ in 1985. 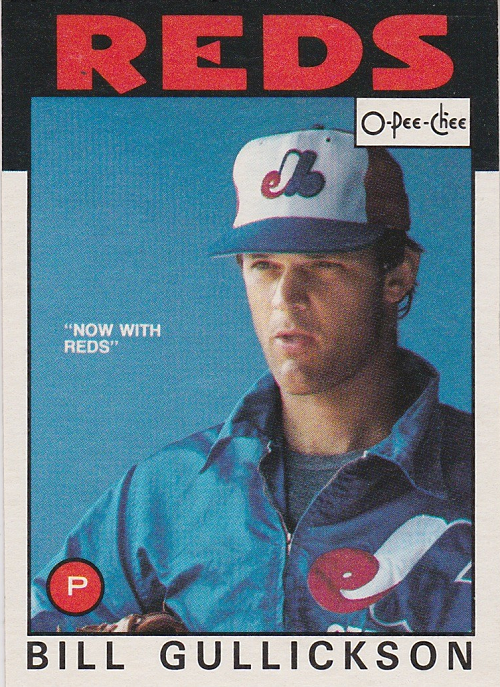 A 1988 Donruss card I had never seen before? 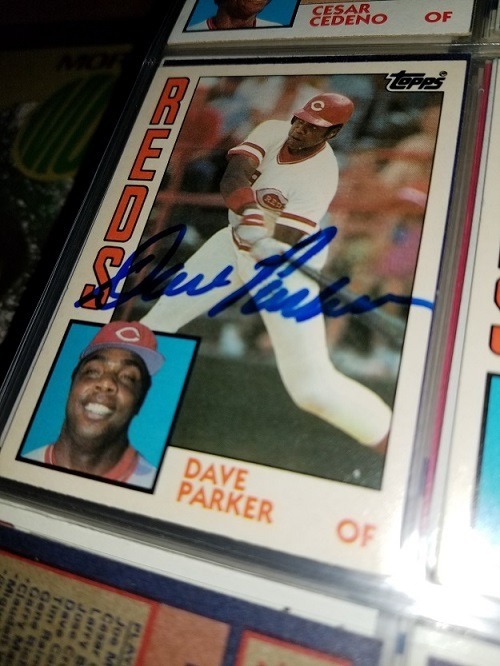 As I was browsing through Dave Parker cards on COMC last night, I came across the above 1988 Donruss card of Parker, which I had never seen before. 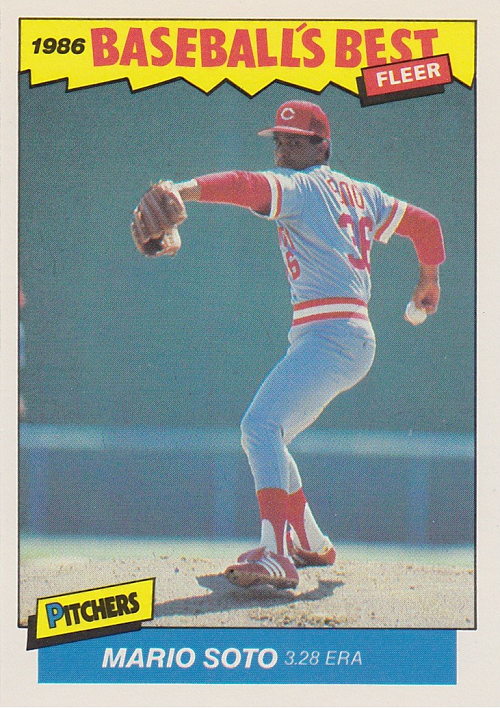 His regular issue Donruss card shows him with the Reds, but he was traded prior to the season to the Oakland A’s for Jose Rijo. In Donruss’ orange-bordered Baseball’s Best set, he is shown as a member of the A’s. But this was a regular, blue-bordered Donruss card showing the Cobra wearing the green and gold. Needless to say, I was floored. After some eBay research, I discovered this sheet of cards comes from a book that Donruss issued for the A’s. I also found similar books for the Yankees, Mets, Red Sox, and Cubs. 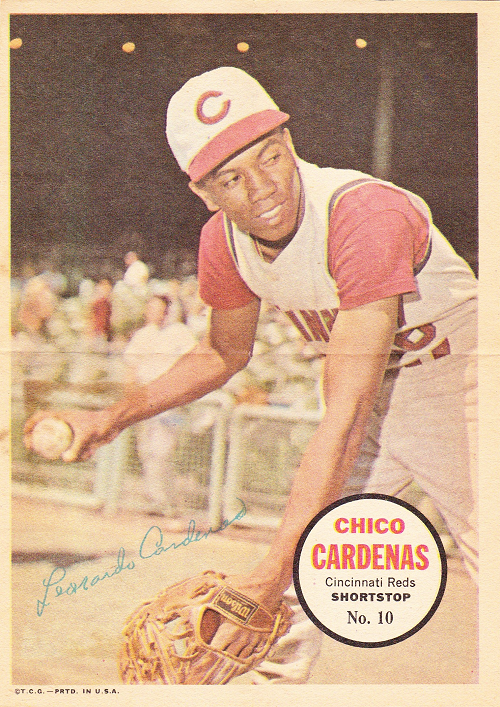 Each appears to have a handful of cards depicting rookies or newly acquired veterans. In addition to Parker, the A’s book also includes 1988 AL Rookie of the Year Walt Weiss. Goose Gossage is shown with the Cubs, Lee Smith and Brady Anderson with the Red Sox, and Jose Cruz with the Yankees. I never could have told you that Cruz wound up his career in New York. I plan to start a PC of Parker’s non-Reds cards soon (all Reds cards go in my Reds book), but I don’t know if I’ll ever drop the money needed to acquire this particular card. It’s not crazy expensive, but it is 1988 Donruss, and paying more than a few pennies for 1988 Donruss seems like a total rip-off. 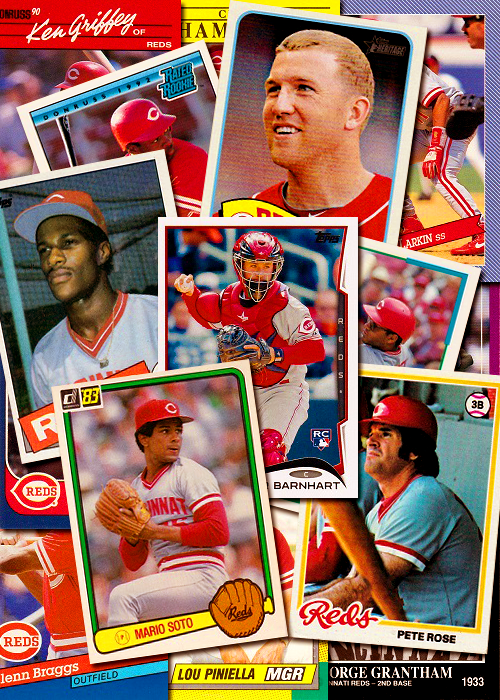 But the fact that it has existed for almost 30 years without my knowledge—and in 1988, I knew everything there was to know about baseball cards—just blows my mind. Dave Parker’s lifetime statistics make him a borderline case for Cooperstown. With 339 home runs, 1493 RBI, and a .290 batting average, he would be far from the worst selection in baseball’s hallowed shrine. 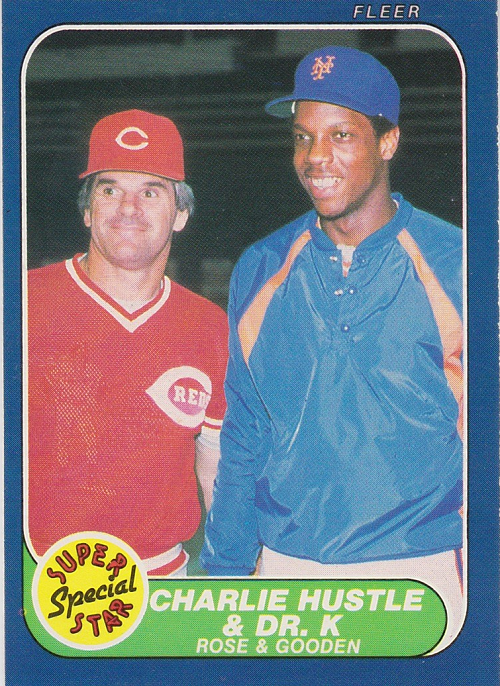 He won the National League MVP Award in 1978, though he was not invited to the All-Star Game that year. Parker did appear on the midsummer roster four times with Pittsburgh, twice with Cincinnati, and one final time with Milwaukee in 1990. He finished second in MVP voting in 1985, third in 1975 and 1977, and fifth in 1986. I’m a baseball card junkie, I’ll admit it. But I don’t like the shiny, nor do I go nuts over the latest certified autographs or “can’t miss” prospects. I’m all about the cheap stuff featuring players I like and guys from the Reds. If I can buy it for under a buck, I might be interested. Last week in Myrtle Beach, I stopped at a card shop called Baseball 17. As soon as I walked in, I knew I would be spending a bit of time there. It was just like the baseball card shops I grew up with…boxes upon boxes of cheap cards, 25 cents each or five for a dollar. Other boxes boasted, “Stars 50 cents!” I immediately dove in to a box, and started pulling Reds. You just can’t beat that, can you? 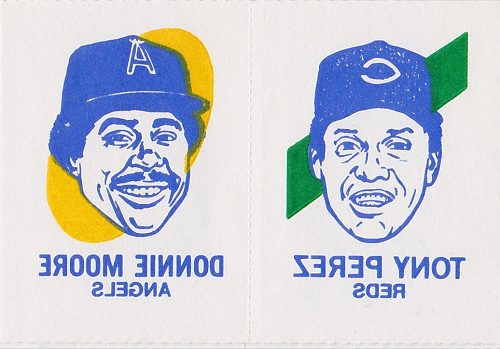 Juan Marichal, Bob Gibson, and Fergie Jenkins…on a 1969 Topps card…for twenty cents. 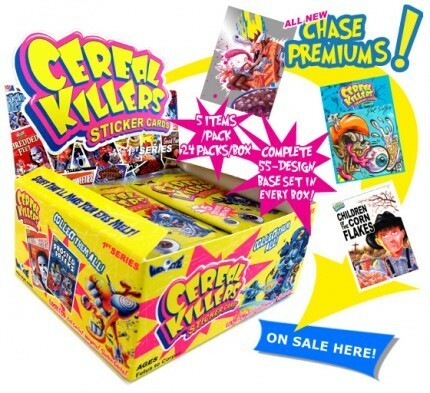 I always get a bit jealous of card bloggers who stumble on deals like this. I also visited the “Stars for 50 cents!” box, and pulled a couple more Gibsons…1969 and 1975. 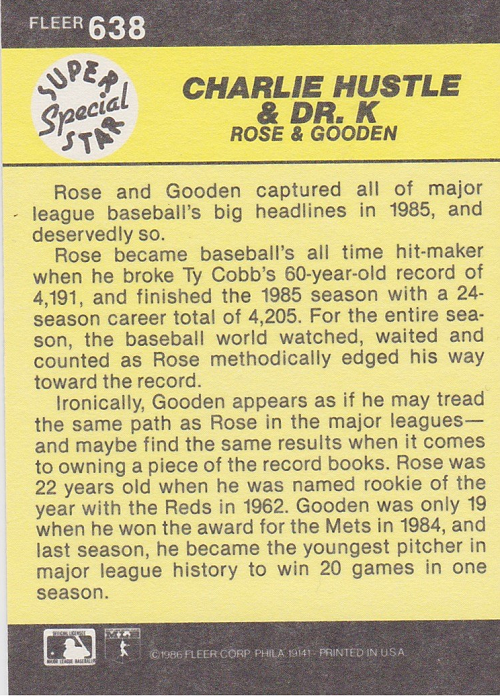 I remember the 1975 Gibson card from my grandmother’s house. She had a nice stack of 1975 cards, not sure who they belonged to but I was never allowed to ask if I could keep them. I recall looking at those cards, and I remember seeing the Gibson in that stack. I probably had no idea who he was at the time, but I always liked the card anyway. I had a great time in Myrtle Beach, and Baseball 17 made it even better. 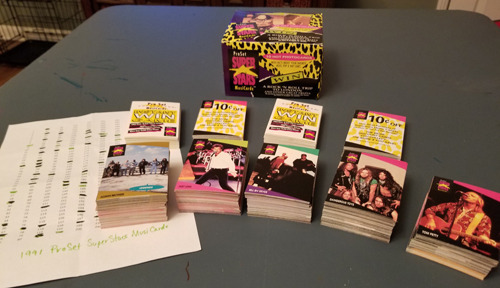 I only dropped about $10 there in two visits, but it was great reliving the memories of the card shops of my youth. I can’t wait to go back next year and see what else I can find in the bargain bins. Welcome to the Reds Hall of Fame, Dave Parker! 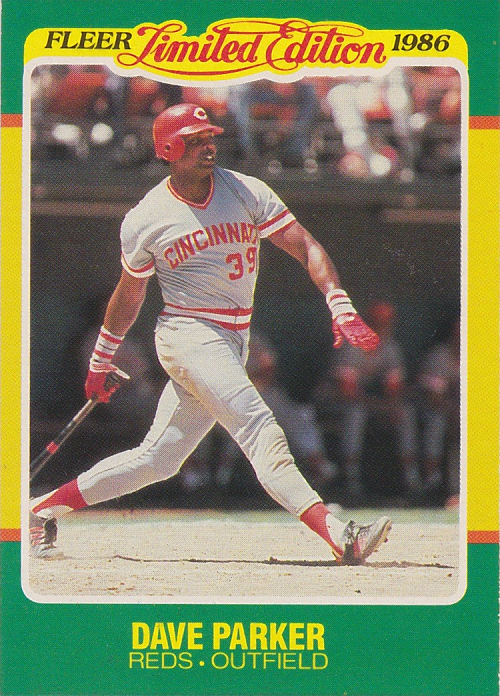 Probably one of the shortest tenured players in the Reds Hall of Fame, Dave Parker only spent four seasons in Cincinnati. 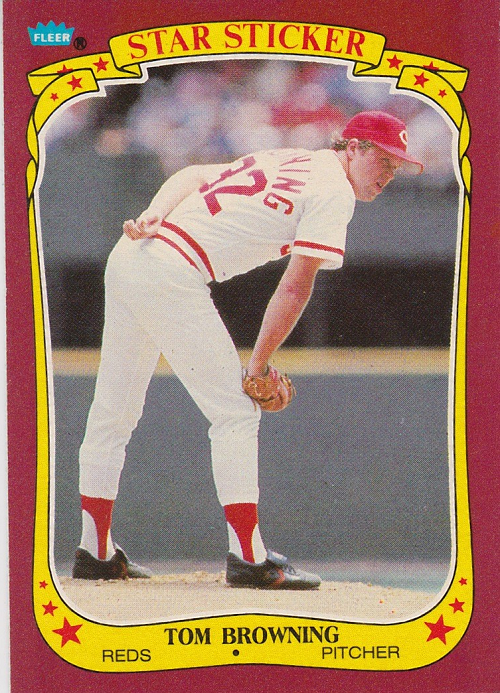 The Cobra is originally from the area, and after spending a decade in Pittsburgh, he came home to the Reds signing a free agent contract following the 1983 season. In his four years here, Parker launched 107 home runs and drove in 432 runs. 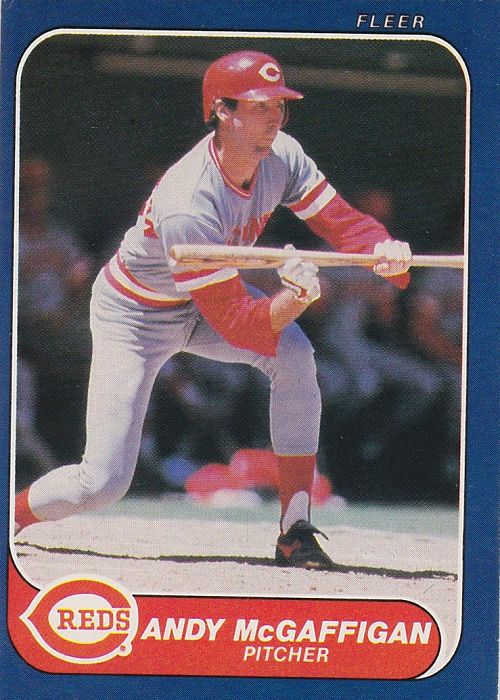 In 1985 alone, Parker hit 42 round-trippers and drove in 125, batting .312 and slugging .551. He finished second in NL MVP voting behind Willie McGee. 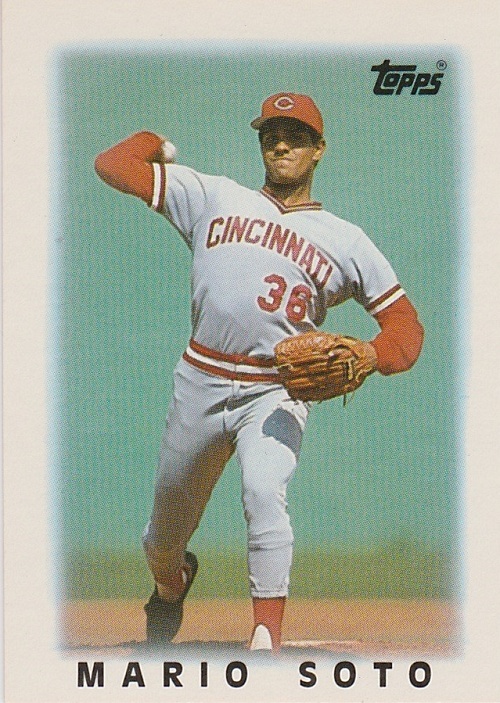 Cobra was traded following the 1987 season in a deal that brought another Reds Hall of Famer to town, 1990 World Series MVP Jose Rijo. Should the Cobra be a Hall of Famer? The 30-Year Old Cardboard blog did a great comparison between Dave Parker and Willie Stargell recently, and it’s really eye-opening how well Parker’s numbers match up to Pops. I always considered Parker a “future Hall of Famer” when I was a kid, and still believe he belongs in Cooperstown. I am still working on my baseball rankings, but wanted to give you a little preview as it relates to Parker. Among right fielders, Parker ranks seventeenth among Hall of Famers and select other players. Only four non-Hall of Famers rank above him: Pete Rose, Vladimir Guerrero, Larry Walker, and Dwight Evans; I am among those who believe all of those players should be enshrined (I just recently came around on Walker, in fact). Ichiro Suzuki pops up just under the Cobra on my list, and has the potential to surpass him this year; I also believe Ichiro deserves a plaque in the Hall of Fame. All of those players exceed the 200-point mark in my scoring system, which is a reasonable bench mark for Cooperstown worthiness; Parker’s score is 206.83. Unfortunately, Parker’s time ran out on the BBWAA ballot. In fifteen years, his highest support came in 1998 when he received 24.5% of the vote. Now his fate lies in the hands of the Veterans Committee.